You’ve put off that home improvement renovation long enough. Don’t wait to enjoy the space you’re living in – do it now! Reborn Renovations specializes in interior and exterior renovations, and custom built homes. Increase your home’s value, usable space, energy efficiency or just your day-to-day comfort. We can bring new life to a single room, a garage or addition, or your entire house. Let Reborn take care of your renovation project from inception to completion! 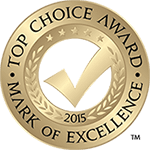 Reborn Renovations is an award-winning team of renovators in Alberta, offering services in Calgary, Edmonton and Fort McMurray. 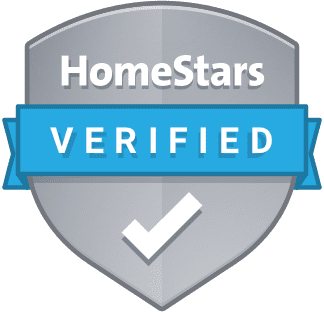 Reborn Renovations maintains an A+ rating with the Better Business Bureau, and is a member of the Canadian Home Builders Association and RenoMark TM. We proudly stand behind our work, with a craftsmanship guarantee and home renovation warranty to ensure your satisfaction. Excellent project management sets Reborn apart from our competitors. You’ll feel more comfortable with the entire process knowing we’re working to keep your project on schedule and on budget. Reborn’s team of professional designers, estimators and project managers will collaborate with you to create detailed plans and oversee work done by contractors on site. Reborn also gives you access to a secure personal webpage with all your project details. Check the build schedule, track construction progress, approve or change selections, view photos and access important documents. Our online messaging system lets you communicate with our team at your convenience. Ask questions, submit a request or file a warranty claim online. Check out our extensive home improvement renovation services and gallery of work. We also offer home renovation financing. Book an appointment to visit our spectacular showroom in Calgary or contact us to get an estimate for your project. Revitalize your kitchen with custom-built cabinets, refacing and refinishing, or a combination of each. Get beautiful matching counter tops, tiling, fixtures, hardware and backsplash. Turn your bathroom into a private spa. Reborn offers full renovation services including carpentry, plumbing, tiling, framing, drywall and electrical. Go for a general redesign or a full-blown remodel. Complete an unfinished basement, extend your living space with a walk out, or create an apartment style suite. Minimize flooding risks or repair a damaged space. Reborn can help you protect or remediate your property with weeping tile construction, foundation crack repair and sump pumps for basement leaks. Refinish and restore a beautiful wood floor or install brand new flooring in your home or garage. From design and consultation to custom color matching, we can help with any painting or drywall project. Reborn is committed to eco-friendly practices, including using products with lower VOC contents and less harmful additives. Add custom railings for safe and beautiful stairways that connect your living spaces and accentuate the beauty of your home. Save time and stress with closet spaces that actually help you stay organized. Reborn can tailor a design that lets you express your true style, with maximum functionality and minimum clutter. Build a gorgeous garage that suits all your needs, from storage and organization to specialty flooring and decorative elements. We can even help you convert it into a living space. Our renovations team includes fully qualified designers, architects, trades people and suppliers who share our commitment to service and quality. Need more room? Increase your living area by building out your floor plan, adding a second story, or developing the space over your attached garage. Windows and doors anchor the style of your home and have a significant impact on energy efficiency. Update your look and lower your monthly bills with high quality windows, doors and frames. Build your dream deck, patio or backyard space. Reborn offers custom carpentry and woodworking services plus a full range of materials, railings and finishes. Our stringent framework guidelines will ensure the integrity and longevity of your structure. Call us for roof installation or repairs. Reborn offers asphalt roofing shingles, cedar shakes, metal, rubber or clay tile roofing. Years of protecting your home from water and harsh weather can leave siding dull and damaged. Replacing your siding can significantly affect your home’s curb appeal and increase its market value. Let Reborn design and install gorgeous stone masonry for your home or garage. Cultured stone and natural veneers can give you the luxurious look of natural stone at an even more attractive price. Reborn offers a full range of concrete services in a variety of finishes. We can build or replace your sidewalks, steps, patio, driveway or parking pads, as well as reseal or stain existing concrete. Reborn has mastered the process of stucco painting, repair and finishing. 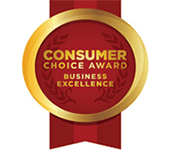 We’ll help you choose the right product for your home and take care of the entire application process. Reborn’s painters are among the best in the business. Call us to stain or paint your deck, fences, siding, trim, or anything else. We also offer driveway sealing and non-slip coating for floors, steps and surfaces. Eavestroughs and downspouts protect your property from erosion and damage to your foundation. Reborn can create and install seamless eavestroughs on site, with leaf guards to prevent blockage from debris. Vented soffit and fascia are necessary for any roof area containing an attic to prevent moisture build up. Reborn offers soffit and fascia that are functional as well as attractive. Cladding reduces or eliminates the need for ongoing window maintenance. Reborn offers a large selection of custom aluminum coverings to match any look. Reborn can help you create a truly customized home from start to finish, including design and construction. We make the process less intimidating by taking out any guess work and working closely with you on all aspects of the build. Contact us today to get started or book an appointment to visit our Calgary showroom!